I must admit, as much as I like my superheroes, I don't like Marvel's X-Men much. Reason? The X-Men's name is almost synonymous to Wolverine to many, so much so that it's too trite to bear. Wolverine is like the Bumblebee of the Transformers movie and Pikachu of Pokemon, overexposed. Just how much of fast healing hairy grumpy man with claws who looks like he's constipated can you take before you are sick of him? It's interesting to note that Bumblebee, Wolverine(comics) and Pikachu are all yellow. Back to the topic, due to the previous 3 movies or 4 ( counting in the Wolverine movie -_-), I was really apprehensive about X-Men : First Class, but the thought of not seeing wolverine makes it a much better idea(to my dismay). But I went to see it nonetheless, regret I did not. I'll try my best not to spoil anything as I'm one who hates to be spoilt. It is again a "beginnings" movie, of how Professor X and Magneto met, of when they were young and introduces a load of mutants who were pretty low profile in the comics. As with every show, there's a show stealer, in this we have 2. First, Emma Frost(portrayed by January Jones). She's a mind reader just like the prof, with diamond skin. Cosmetics companies should really consider using her as their cover model, it's diamond skin! But her primary power is not what I've just described, but this! Clothed in as little cloth as possible, 20th Century Fox really am pushing her charms to cater to the male audience. Beyond that though, the character barely contributes to anything much. 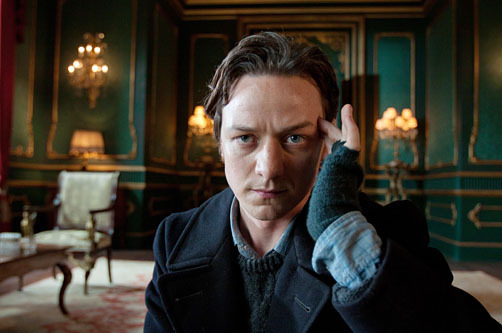 Enter Professor X, an academic specialising in human mutation is chatty, humorous and surprisingly flirty. The complete opposite of the monk we know him in the traditional X-men. In his younger days, Charles 'X' Xavier is still able to walk with hair on his scalp. Never would I actually expect most of the funny moments to come from him. Professor X is the most lovable character during the 2 hrs, next to Emma Frost for some, for entirely different reasons. 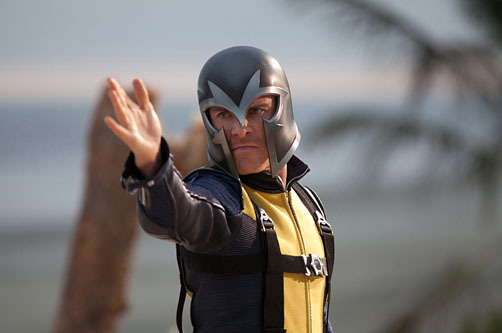 Of course, we'll get to see how Magneto becomes more magnetic, and the source of his headgear choice. 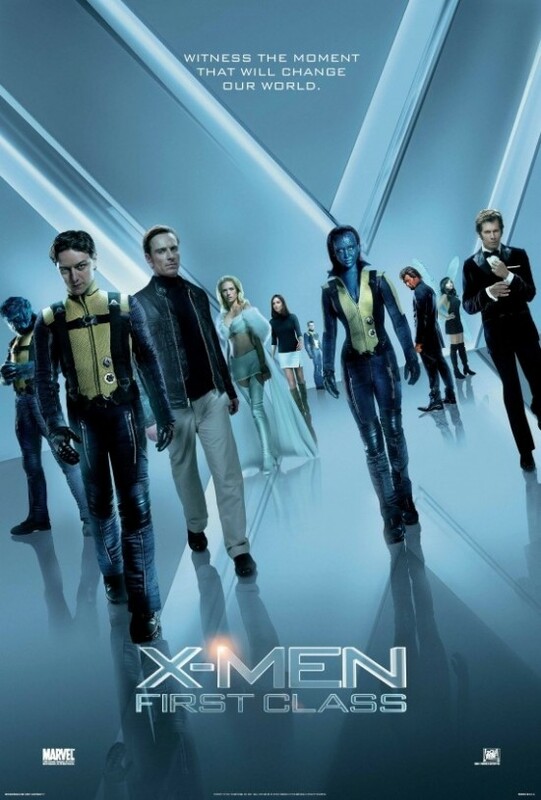 In this movie, Both Charles and Erik(Magneto) are best friends, and this movie tries to show us how they eventually broke off and start the X-Men and the brotherhood of mutants. The other supporting mutants are largely silent from the antagonist camp, appearing only to wreak some havoc(coincidentally one of the mutants is called Havok). With such reviews around and $ making potential in a sequel/s, I'm sure a X-Men Second Class and for that matter, Third Class is in the planning and works. Let's just hope the quality of the sequel doesn't become second class and third class as it goes. If you haven't seen it, hurry! Before the other upcoming summer blockbusters reduces your chance of catching it in the theatres.